Attacks the enemy with 1-3 blades of wind, dealing 197 Flying damage per attack. 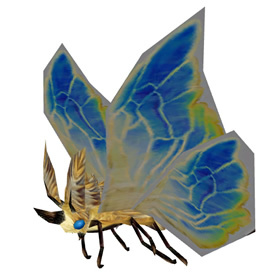 Deals 197 Flying damage and increases your chance to block an attack by 100%. Deals 197 Critter damage and increases your speed by 75% for 3 rounds. 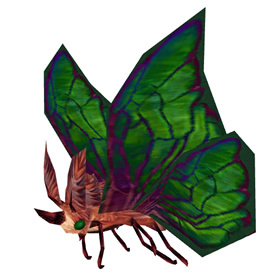 Launches a barrage of smelly pheromones at the target, each dealing up to 197 Flying damage and has a 50% chance to reduce the target's speed by 25% for 3 rounds. 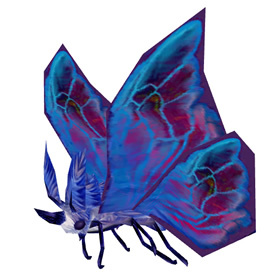 Deals 492 Flying damage and has a 25% chance to put the target to sleep for 1 round. 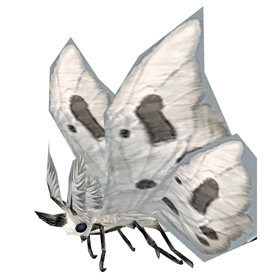 As this moveset is shared alongside 14 other moths, there are plenty of options to cover all 10 breeds. Among the breeds of this moth is 1 of the most common in the moveset, but has two relatively less common breeds choices; SB and SS. 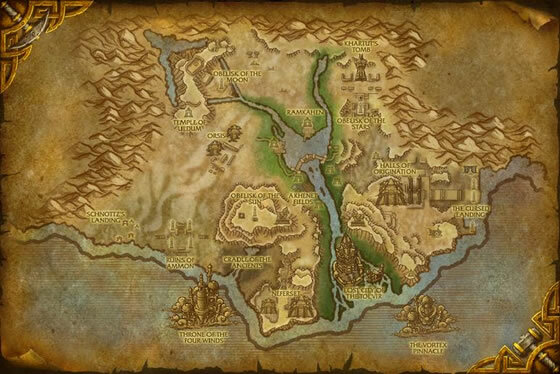 Hard to find along the rivers, waters and oasis of Uldum. At least I found none in several occasions. I found mina as a secondary to a Tolvir Scarab near the Gate of Unending Cycles. Don't let this one fool you... it doesn't only have to be found by the rivers as a primary. I found plenty of moths also as secondaries to horned lizards, desert spiders, dung beetles and tol'vir scarabs. Finally found my rare as an add to a dung beetle just west of Khartut's Tomb in the NE section of Uldum. Good luck! I have my rare. Finally! At the Vir'naal Oasis. I really hate these buggers... They shoot and almost never miss. But now I have him, still need the tank. I'm with the last post. It is taking me forever to find a rare of these guys. I have made 2 or 3 passes of all of Uldum, hoping to get one as a primary or secondary pet, but I have not seen a single rare. Now I am focusing on all pets in the spawn zone around the river(s). I'm hoping that by posting here, it will somehow provide me with luck. Will update when there is a change. Update...7 mins later, I have my rare! Whew.. took forever for me to find this guy.. was last rare I needed from Uldum.. got it as an add to some horned lizards up at the top of the oasis. My rare was an add to a scarab. I found mine, quite fittingly, along the Vir'naal Oasis. Prefers to dwell along desert streams, wells or watering holes and feed on Whiptail nectar.